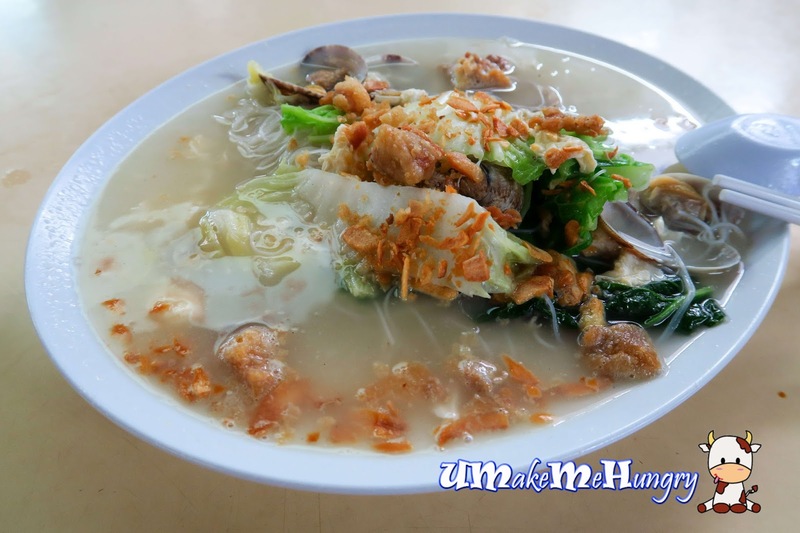 We have this crave of finding the best White Bee Hoon around in Singapore with my sisters as we both enjoy the dishes. I used to only eating Sembawang White Bee Hoon but recently when I returned their taste was not the same as before, leaving me with disappointment. I have seen the number of Stalls dealing with white been hoon increasing and not leaving out the Hawker Centre here in Bukit Timah, there are already 2 stalls. 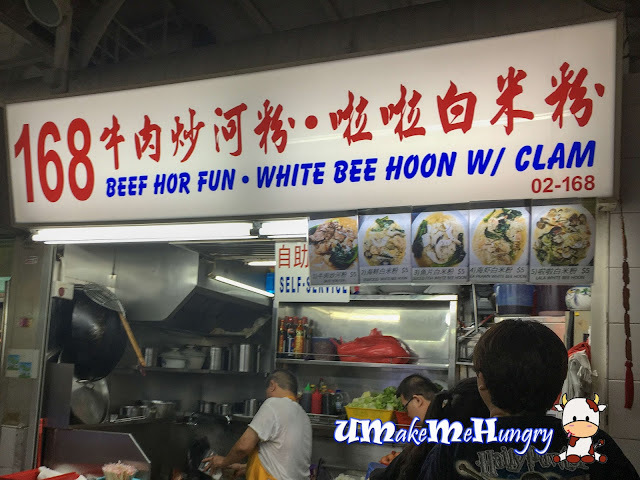 168 Beef Hor Fun and White Bee Hoon with Clam was the stall we visited. It is prominently located in the row right in front of the main entrance staircase which one would not miss out. They are only selling 5 items on the menu, Hor Fun and white bee hoon just as stated on their signboard. Dont like dry version of White Bee Hoon? Dont worry, over here you will be overwhelmed by its generosity of gravy. 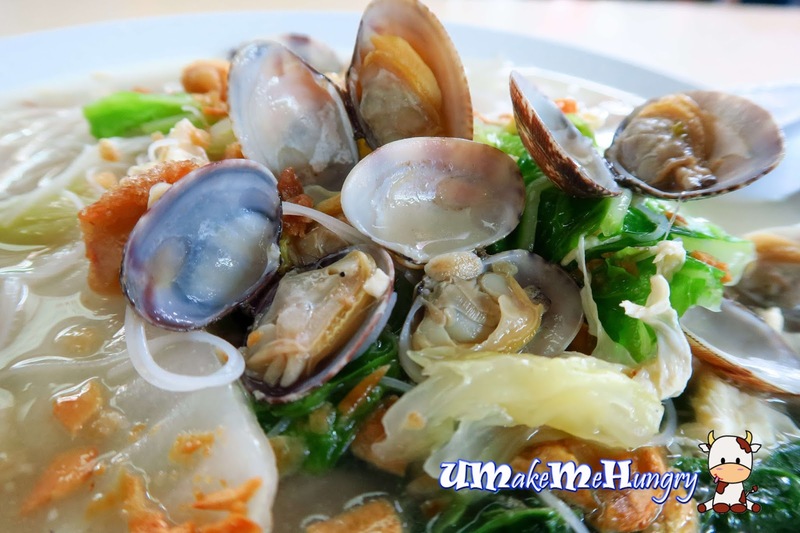 The broth for the bee hoon was tasty and watery however it has a sweet taste from the white cabbages and seafood. Coupled with prawns, egg, flice fish, lala and topped with crispy pork lard as well as fried shallots that add on an aroma, elevating the fresh flavours of the dish. 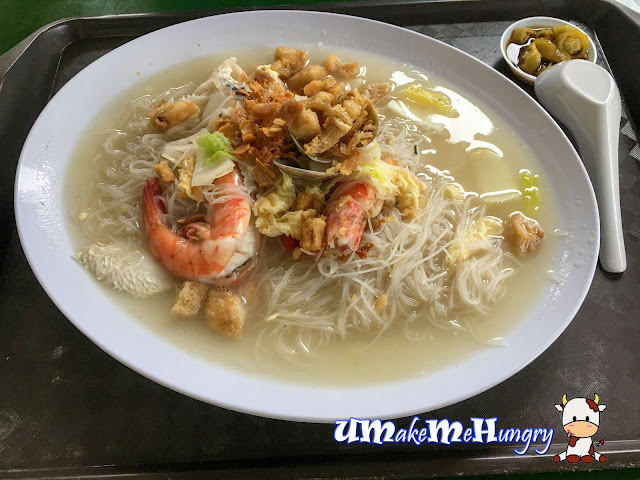 The taste of La La White Bee Hoon has not much different from the seafood white bee hoon as it broth was still as tasty added with pork lard bits for a robust burst of flavours. As seen from the dish, La La spread was fresh and generous, complementing the sweet savoury broth. Just heavenly. Overall, after tasting two of their dishes at different occasion, their dish was rather consistent. I will be back for their other dishes.